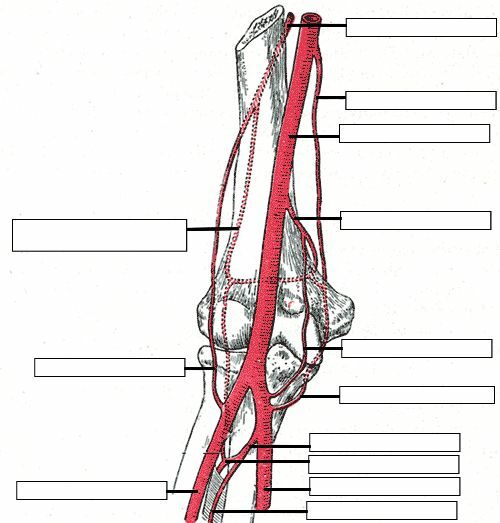 Fill in the labels indicated on this anterior view of the right arm. N.B. labels are based on anatomy lectures from King's College London, but the image is taken from a public domain version of Grey's Anatomy, so unlabeled details may be outdated.